赵炳杰, 杨光亮, 黎哲君. 移去-恢复法校准重力异常场及其应用[J]. 大地测量与地球动力学, 2019, 39(4): 361-365,431. ZHAO Bingjie, YANG Guangliang, LI Zhejun. Study on the Remove-Restore Theory of Refining Gravity Anomaly and Its Application[J]. Journal of Geodesy and Geodynamics, 2019, 39(4): 361-365,431. The Spark Program of Earthquake Technology of CEA, No.XH17022;Scientific Research Fund of Institute of Seismology and Institute of Crustal Dynamics, CEA, No.IS20146141. ZHAO Bingjie, postgraduate, majors in data processing of geophysics, E-mail:zbj_edu@126.com. Foundation support: The Spark Program of Earthquake Technology of CEA, No.XH17022;Scientific Research Fund of Institute of Seismology and Institute of Crustal Dynamics, CEA, No.IS20146141. About the first author: ZHAO Bingjie, postgraduate, majors in data processing of geophysics, E-mail:zbj_edu@126.com. Abstract: The classical remove-restore theory is improved. 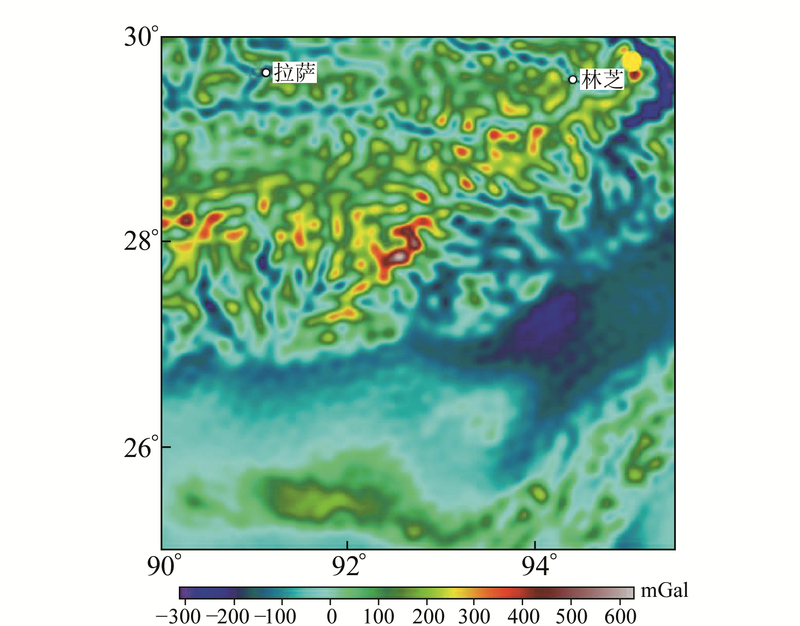 We propose a regional gravity field calibration algorithm considering the gradient feature of terrain using EGM2008 (the satellite gravity field model), surface gravity/GPS joint observation data and ASTER digital terrain model. 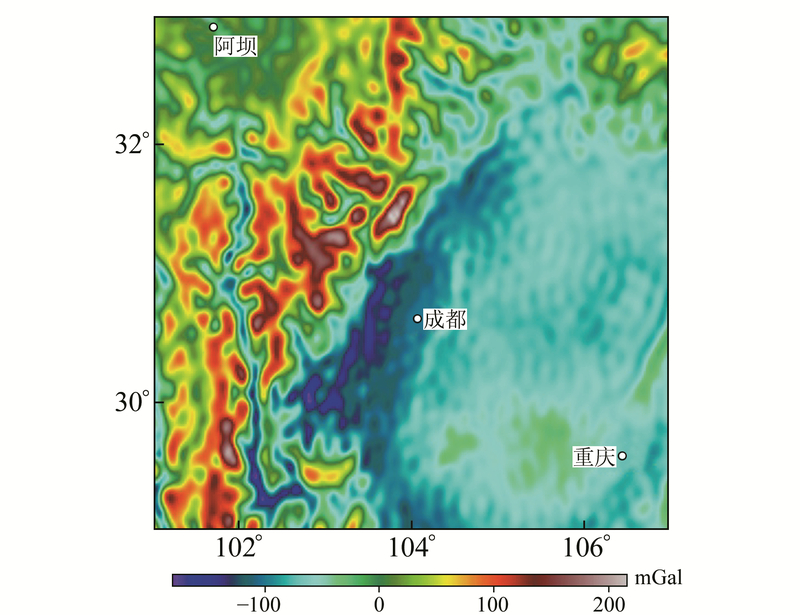 Based on the layout of the dynamic gravity regional network in China, the calibration range of the gravity field is more reasonable. 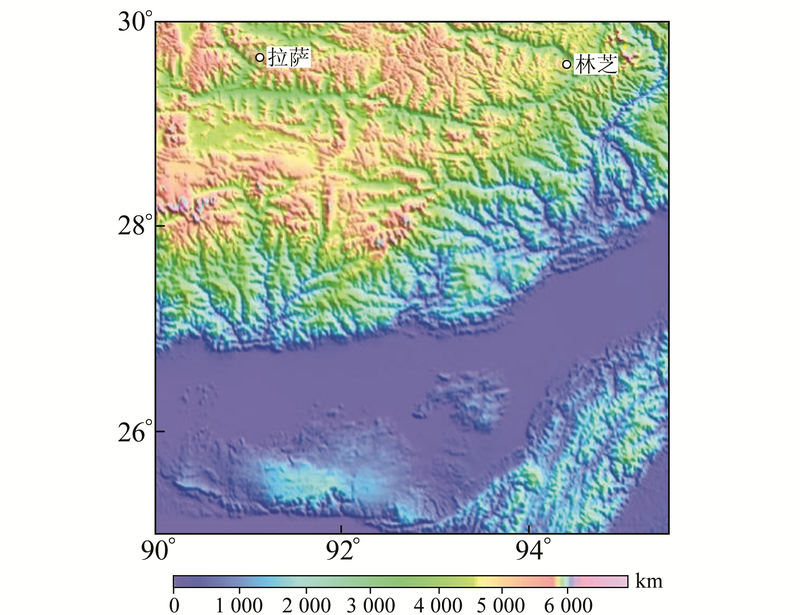 Compared with the classical application of removal-restoration method in western Sichuan, the new calculation shows that the standard removal-restoration method model can reduce the standard deviation of the gravity field model data in western Sichuan from 65.09 mGal to 61.24 mGal, and combined with the impact of the terrain gradient, it can be further reduced to 59.31 mGal. 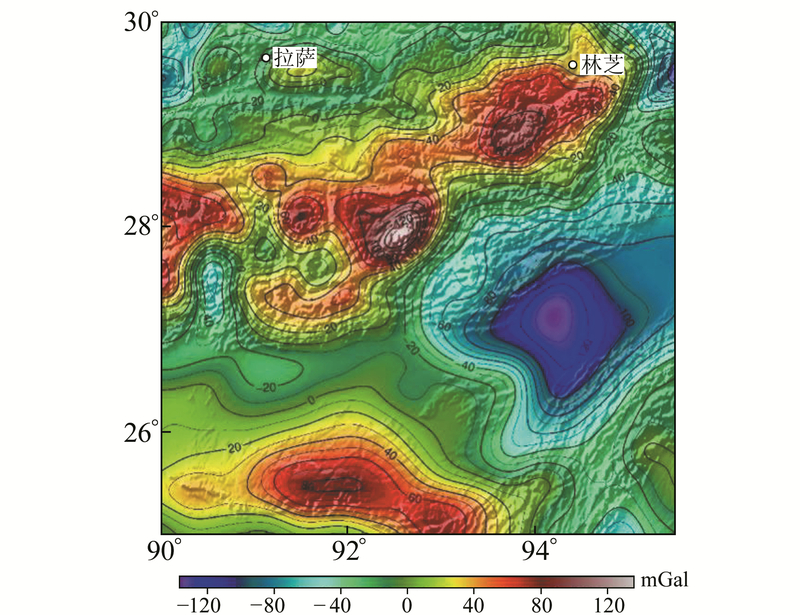 In this paper, 283 gravimetric data recently published by the International Gravity Bureau are used to calibrate the gravitational field in the eastern Himalayan syntaxis and adjacent areas. 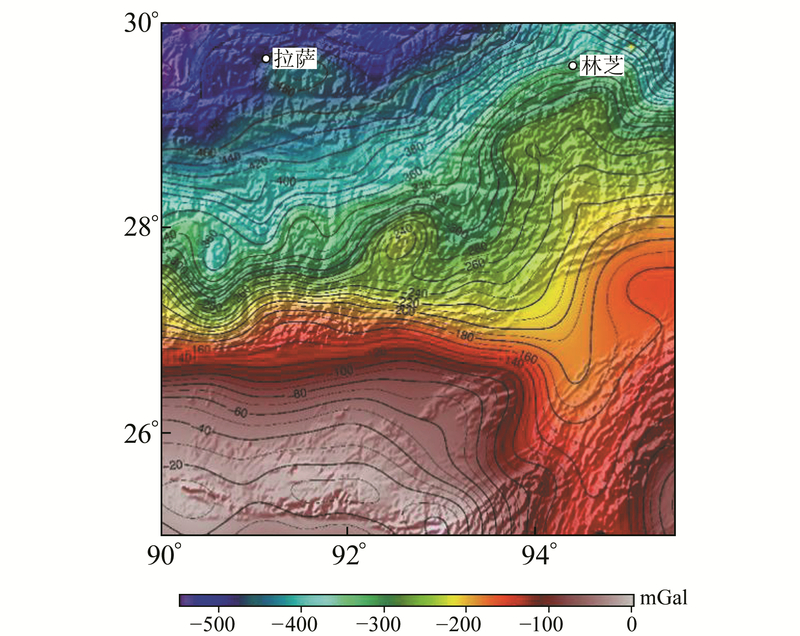 Through the Bouguer gravity anomaly map, it is obvious that there is a strong positive correlation between the Bouguer gravity anomaly and the terrain distribution; furthermore, there is a clear area of low value isostatic anomalies in the central and eastern parts of the study area.